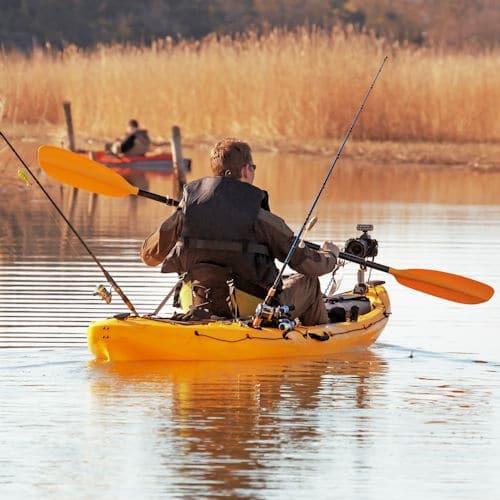 Finding the right trolling motor battery for your kayak is an important decision. You want a battery that works when you need it, to help you position your kayak just where you need it. If your battery loses its charge you can forget about landing that trophy fish. It turns out, though, that choosing a trolling motor battery is anything but straightforward. 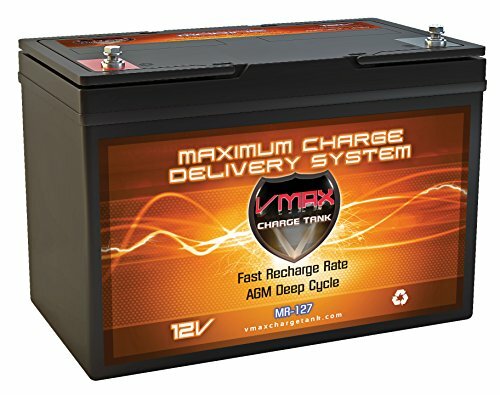 Not only are there a bunch of different products on the market, but also a host of different battery chemistry options to choose from. Which trolling battery should you pick? And which batteries will provide you with consistent energy for your motor while you’re out on open water? Discovering the answers to those questions is the purpose of this review article. We’re going to take a look at some of the industry-leading trolling motor batteries currently on the market so that you can make an informed decision about which to choose to take out on your next fishing expedition. To help you select the right battery for trolling in your kayak, we’re going to look closer at 5 of the best power sources available today. We compared features and owner reviews to see which models performed the best. Read on now to find out all about them. 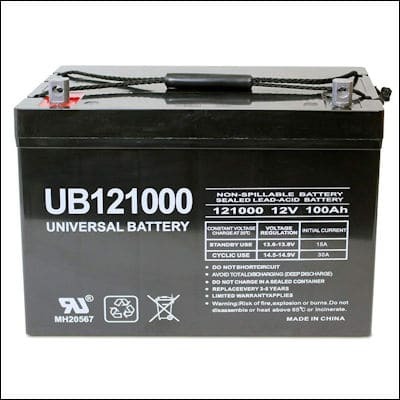 The Universal Deep Cycle AGM battery is marketed as a maintenance-free, spill-proof battery. But does it stand up to the hype? Is it the best trolling motor battery on the market? On the surface, Universal Power Group’s product seems like a great deal. 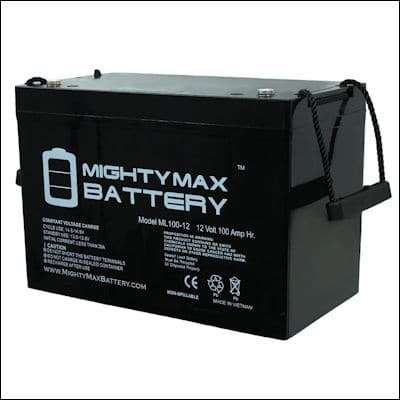 Not only is the battery compact, but it’s also relatively light for a trolling motor battery. 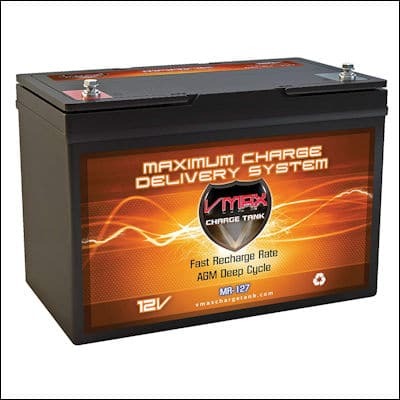 The battery does perform consistently when it works, putting out the requisite amount of power to operate the motor. And if you keep it clean and dry, you shouldn’t run into any problems. However, there are issues with the Universal. After a period of heavy use, there’s a tendency for the battery to provide less voltage than the minimum required to power most trolling motors. When the voltage falls below around 11.8, it can no longer supply the type of electrical current that the motor needs for continued operation, essentially rendering the battery useless. Some people have found that if they connect up three or four of these batteries in series that they can compensate for the defective unit, but whether this is a viable solution for many remains to be seen. People need batteries that can provide trolling motors with consistent power: otherwise fish may lose interest in the bait, and you may end up wasting both time and money. What about the price? How does the Universal compare? Just looking at the Universal, you can see that it’s a no-frills product. It’s priced lower than most other batteries in its class. And although it comes with anti-vibration technologies, there’s a case to be made that this product is probably more prone than others to damage in this list. Nobody wants lead acid leaking all over the place. Not only is it difficult to clean up, but it’s also highly toxic – not something that you want to be exposed to for any length of time. So it’s good to hear that Mighty Max’s 12V battery is “spill proof” and vibration resistant. Mighty Max has made the sensible decision to go with an “absorbed glass mat” design. This is where the battery’s electrolyte is contained in a solid structure, making it much less likely that it will leak out and cause damage to your vessel. Mighty Max, therefore, has solved a significant safety issue with their 12V product. One of the most impressive things about the Mighty Max is its longevity. Although it’s not the cheapest battery in this review, the cell has a remarkable ability to keep going and going: great if you regularly travel out onto the water. More than two years of continual use and the battery shows little signs of degradation or loss in performance, which is impressive for lead-acid technology. Granted, as with all lead-acid products, the Mighty Max will eventually see a critical loss of charge, but it still allows both amateurs and professionals to get a real return on their investment. The capacity of the battery is impressive. It should run a trolling motor all day long, depending on the size of your rig. And, thanks to its high output, it’s able to power the very largest trolling motors you’re likely to encounter on the open sea. Should you give Mighty Max your money? Well, that depends on your priorities. If you’re looking for a battery that’ll keep going all day long, then sure: this is probably the product for you. But if you’re looking for something lightweight, then look elsewhere: this product is heavy. Dimensions: 12.17 inches x 6.61 inches x 8.30 inches. Listing is for the Battery and Screws only. No wire harness or mounting accessories included. Rechargeable spill proof battery has a characteristic of high discharge rate, wide operating temperatures, long service life and deep discharge recover. Mounted in any position, resists shocks, and vibration. High performance in high and low temperatures. The VMAX MR127 is a premium product. The company behind it uses special technology to coat the internal fibreglass electrolyte container, helping to improve strength, reliability and the number of cycles the battery will support. But, you’ll pay a 25 per cent premium for the privilege: the VMAX doesn’t come cheap. The VMAX is for people who plan to use high-powered trolling motors for an extended period. The battery provides sufficient charge, even for seven-hour-plus expeditions. What’s more, because of the reliability of the chemistry, you’re able to repeat shifts daily, running down and charging the battery over and over again for months, if not years, at a time. The VMAX may very well be one of those rare batteries on the market that can run back-to-back shifts. If you run a mid-size motor, you’ll find that the VMAX has enough charge for a second day, offering extra utility on multi-day expeditions. Of course, all that power comes at a price, and we’re not just talking money. 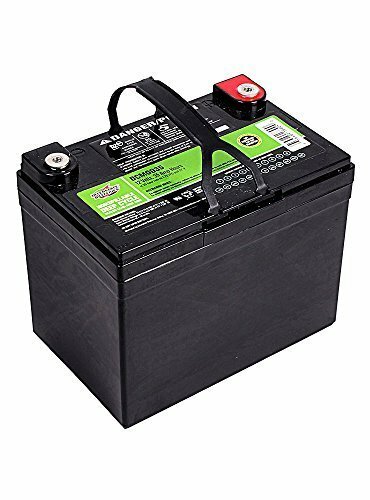 The battery weighs more than 100 lbs, so you’ll need to do some heavy lifting to get it onto your vessel. But once it’s aboard, it should provide spill-free, reliable operation for many years to come. Heavy Duty Grids: VMAX heavy duty lead tin alloys provide an extra margin of performance and service life in either float or cyclic applications, even after repeated over discharges. Fits any Group 27 Battery Box, fits the MinnKota Trolling Motor Power Center; Bargainshore offers FREE Signature Confirmation on most bulky orders in excess of $150.00. You can waive the Signature Confirmation by sending us a message with your request when placing your order. Orders of 5 or more batteries shipped on a pallet must be signed for when delivered. A contact number is required to schedule pallet delivery. 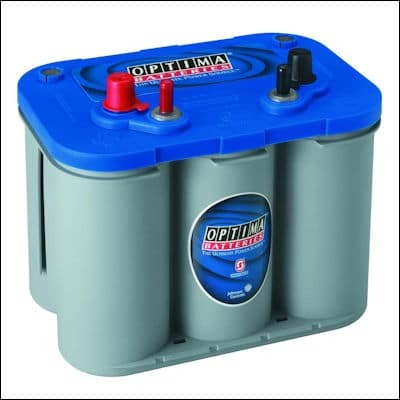 When Optima Batteries were designing their deep-cycle marine battery, they wanted to create the ultimate water-going energy solution, not just for trolling motors, but for practically any application (including boat and RV batteries). And just to look at the battery, you can see that it has water in mind, with its distinctly nautical theme. 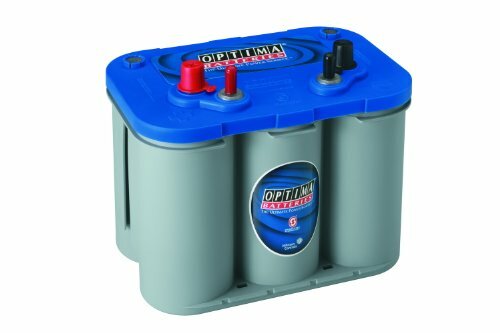 Optima Batteries say that their battery can be mounted in practically any orientation you like, giving users flexibility when deciding where they put it. And they say that they’ve developed their battery technology so that it is now more than 15 times more resistant to vibration – a good job if you’re planning on hooking it up to an electric motor and heading out to sea. Let’s start with the positives. One of the great things about the Optima BlueTop is the weight. The battery is much lighter than many generic products on the market, thanks partly to the construction, yet it still provides impressive power over a long period. The Optima can be taken out onto the water and will power a 25 HP trolling motor for up to 11 hours, losing only half its charge. Rather like the VMAX, the Optima can be used over multiple days without the need to recharge. The battery is also physically robust. The thick, toughened outer casing provides plenty of protection from the knocks that its likely to suffer out on the open water. Optima Batteries, however, has experienced some significant quality control problems. Some units have failed to take charge, while others have died for no apparent reason after regular operation. Although the company offers warranties on defective products, it is a significant inconvenience for people who just want something that works. So who is this battery for? Naturally, it’s targeted at the trolling motor market, but it’s also a highly versatile battery that will work in a variety of settings, including RVs. You can even hook it up to a solar panel system and charge it for free. So far, we’ve discussed super-heavyweight batteries for trolling motors that last for days. But what if you’re in the market for something a bit smaller? Interstate Batteries might have what you’re looking for. Right now, it’s offering a lightweight trolling motor battery it calls DCM0035. The battery is a much smaller form factor than the behemoths like the VMAX and, naturally, doesn’t provide the same amount of energy. But that doesn’t mean that it isn’t useful. So who is this battery for? Primarily, it’s a kayak trolling motor battery for people who use small trolling motors. Not everyone runs an enterprise: this is for people who want something small and affordable they can carry with them on their kayak for fishing in a local lake or coastal area. 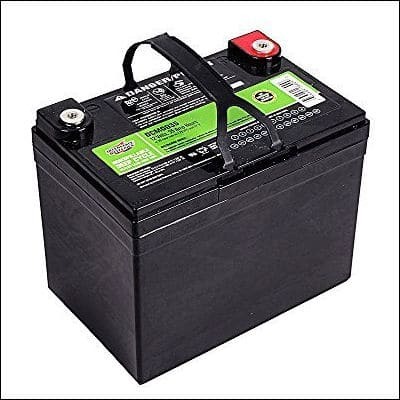 Interstate Batteries has done the sensible thing and chosen to use AGM, like the other vendors we’ve discussed so far, making this an ideal trolling motor battery for kayaks. The battery can resist vibrations and won’t spill out all over the place. Any downsides? The only major issue is the lack of threaded posts which can make hooking it up a challenge in some situations. 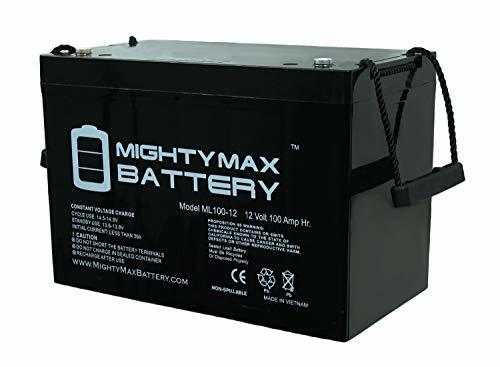 In summary, this is a battery for people who want something small and portable and don’t need industrial quantities of energy. PLEASE MAKE SURE THIS LOOKS LIKE THE BATTERY YOU ARE REPLACING! NOT FOR A GOLF CART!!!!!!!!!!!! Once you select the right battery for your kayak, the next step is setting it up inside the boat. Since most kayaks don’t come with a battery mount you will need to either purchase or build one. Here is a good Youtube video showing how one kayak fisherman setup his trolling motor battery.